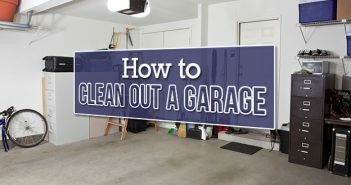 Spring Cleaning with Budget Dumpster! 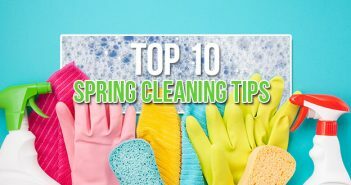 If you haven’t begun your spring cleaning project you better get started because its last call before the busy summer months begin! It is the time of year we all dread, but spring cleaning is a chore that is necessary to prevent over cluttering our lives with material belongings. The best way to dispose of your unwanted and maybe even beyond repair damaged items is to rent a dumpster. Dumpster rentals are a hassle free way to tow away everything cluttering your home.The first step to beginning your spring cleaning project is to develop a plan. For example, an easy way to start is organizing your home room by room. After you have decided which part of your home you want to tackle first you may begin the next step which is deciding what stays and what goes. Every year we collect useless objects, decorations, furniture, or continue to keep and store similar items that we never use. Take your spring cleaning opportunity and get rid of any items you haven’t used in the last year. Chances are if you went a year without needing an item you probably never will need it again. While going through your belongings and deciding what goes and what stays, make sure you separate the “Goes” pile into two separate piles, one for the dumpster and one for charity. If there are items you do not want anymore, but are in good condition, you should always donate them to the less fortunate. As for everything else, throw it in your dumpster rental. By utilizing a dumpster rental you will be able to throw away large furniture, clothes, carpets, appliances etc. Without worrying about not having the room on the curb or having to wait for your towns big trash day pick-up. By renting a dumpster you can fill it and then have it hauled away, no problem or hassle for you. After you have gone through each room, drawer and closet you can start the actual cleaning process. While you clean you can organize all the belongings you have decided to keep. When you are done you will feel accomplished and be left with a huge weight of stuff (literally) lifted from you.